Exclusive Design with stock photos and logo design. 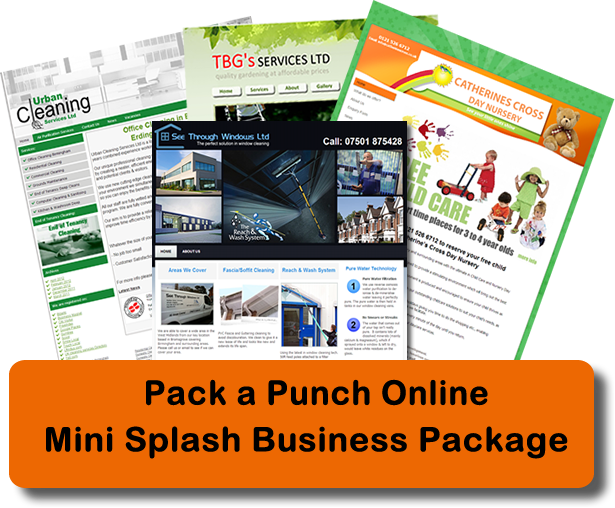 Fully loaded with the essential backend requirements to make sure your business receives the perfect online start, including search engine promotion, backlinking and a pay per click Google advertisement. Mobile Friendly website so people with mobile devices can find you too. Over 1/3 of visitors are using mobile technology, you can’t afford to miss traffic like this. After care with dedicated account manager, plus 2 weeks inclusive maintenance and support. Hosting for 1 year and unlimited email addresses. All our websites are content management system based, which means you can log in online and add or edit your own content if you want. Even edit from your mobile device. 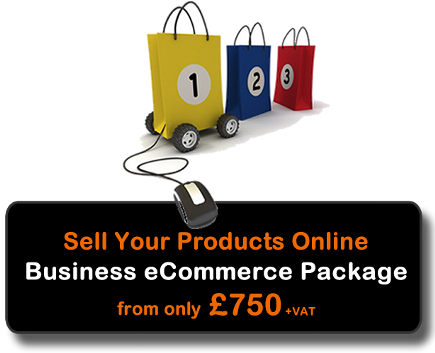 Sell online from standard online retail to digital download products and even food retailers with option of delivery slots. Integrating with a wide range of payment methods to suit your business type. Eye-catching, effective designs showcasing your products. Easy to add your own products and change prices with the online admin login. Video tutorials so you can follow step by step instructions and replay them at your convenience. 1 hour 1-to-1 training on adding products. A variety of checkout payment options PayPal and Merchant Accounts and much more. We’ll give you advice on how to choose if you’re not sure. When searching on mobile devices, 84% of consumers look for information about local retailers, such as phone number, address and opening hours. Many business websites cannot be viewed on a mobile phone clearly or effectively and more mobile users than ever are surfing the internet via their handsets & tablets. If your site is not designed for mobile use the average mobile user will leave it within 2 seconds. If however your site can “easily” be viewed on a mobile device your competition will be at a huge disadvantage. Without a shadow of a doubt – mobile device websites are the next big thing, now everyone is getting a smartphone or tablet. So get ahead of the competition today and gain more customers with Embertech’s mobile phone web package. 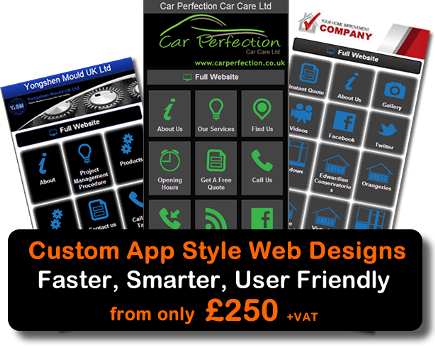 Call our friendly team today to see how you can get ahead of the competion with an app style mobile web design. Various pages showcasing your business clearly and quickly, google Location – auto navigate with Satnav’s – auto dial from a smartphone. Opening times, social links, RSS feed and much more. or fill in the enquiry form on our contact page.